The automotive industry cannot do without them: modern lightweight concepts. On the contrary. Not only do they considerably improve vehicle dynamics, but they also help to reduce emissions. Lightweight construction thus continues to be a key technology for future cars. It is also important for e-mobility because the green innovation capacity counts on the know-how in the battery and lightweight technology. While chasing ever greater reach, lightweight construction is particularly essential to further promote electro-mobility. However, efficient lightweight construction also sets high standards for multi-material concepts thus requiring innovative fastening technology, such as the established RIVSET® self-pierce riveting technology from Böllhoff. As it is well known, this technology allows to join different materials in a single production step without pre-punching. There are the reliable multi-material designs with aluminium (die-cast, extruded profile, sheet metal), multiple-layer joints, applications with adhesive as intermediate layer and deep-drawing steels with a tensile strength of up to 500 MPa. Now, high-strength steels with a tensile strength of up to 1,600 MPa have been added which are suitable for series production. In this context of lightweight construction and the use of related materials, the self-pierce riveting technology with semi-tubular rivets had to be further developed beyond the known technology limits. A great number of fastener varieties result from the many possibilities of use. RIVSET® self-pierce rivets can vary in geometry, hardness, surface, head shape, shank length and diameter. The application defines the rivet type. As a fastening technology expert, Böllhoff develops fasteners according to the material trends. Resulting from continuous further development, Böllhoff can offer the RIVSET® HDX for solutions to join materials with tensile strengths of up to 1,600 MPa and a sheet thickness of 1.7 mm in the top layer in series. 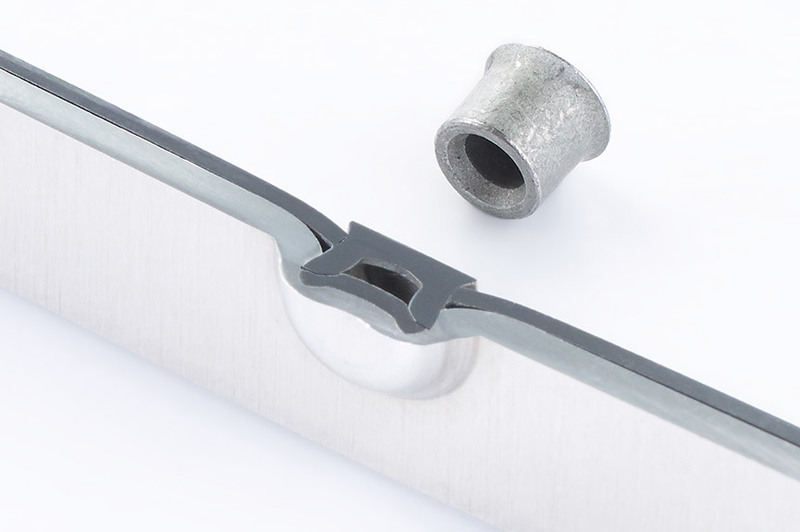 To that end, the fastener geometry has been optimised and the rivet hardness adapted. However, today’s body designs are not only characterised by an innovative use of materials. Böllhoff breaks new ground with the innovative assembly system RIVSET® Automation EH. For this assembly system, the focus is on functionality, flexibility and design. Plus a long life, maximum availability and minimum maintenance, this is the foundation for effective production. The intelligent machine variants – modular, comprehensive range – allow high flexibility from prototyping to large-scale production. The fast and high-performance control provides open software interfaces for robot communication as well as for provision of data via OPC UA. 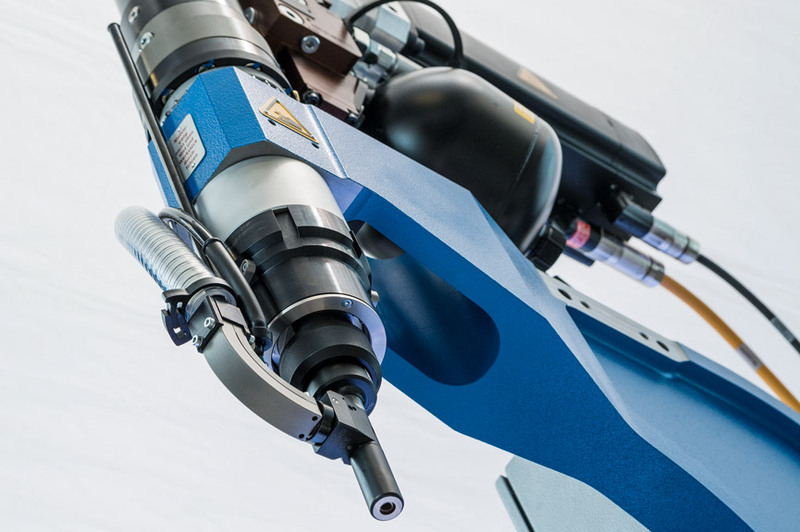 The main requirements for such systems are a 100 % electrical installation on robots (no hose coupling), the compensation of punches (for high-strength steel applications with tensile strengths up to 1,600 MPa) and short process times – for some applications < 1.5 s. These systems are hard to outperform, since a TPM-concept is also provided. Further technical key highlights are the new die changer, the new magazine feed as well as the new RIVSET® feeder with simple feeding technology. 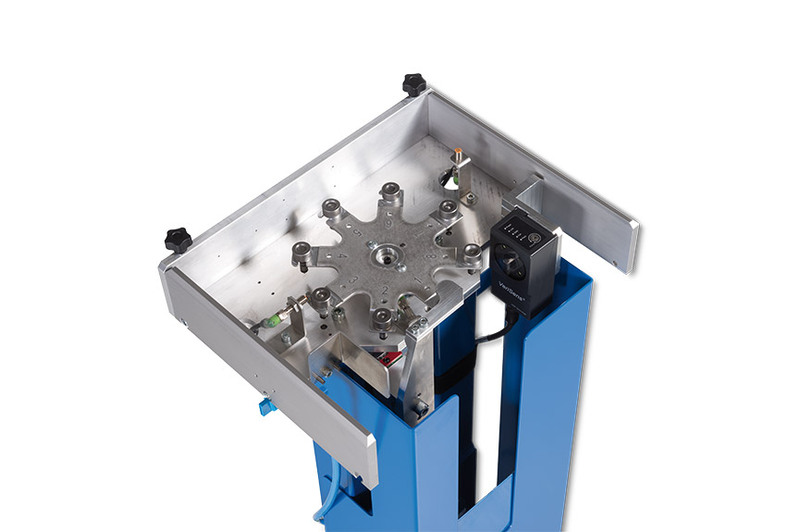 The new die changer is suited for up to 8 dies. Die changing takes less than 6 seconds. The optional automatic 100 % die recognition improves production reliability. Nothing compares to the new magazine feed. Rivet sequences of the same rivet diameter and up to eight different rivet lengths are processed. Partial loading and buffers are available. A die change takes less than 4 seconds and is executed during non-productive cycle times. For modern production systems, production planning and control are also of great importance for defining and optimising manufacturing processes. Such requirements have also given new impulse to Böllhoff as an expert in self-pierce riveting technology. In cooperation with their customers, they elaborate new concepts, such as a software-based workflow to plan and handle the procurement of process devices. Transparent and project-specific data and information are thus guaranteed. Another example is an intelligent delivery concept based on the modular design of Böllhoff components. Time-critical machine components are separated from non-time-critical components. Those are two concepts that are very useful contributions to a flexible and equally efficient production and procurement planning. Böllhoff also offer a service package including the work of a specialised maintenance team for optimum maintenance of the process machines. The team provides significant support for smooth and trouble-free production. As you are used to with Böllhoff, fasteners and joining tools for self-pierce riveting come from a single source. Ideal conditions to continue to stand out as a solution specialist for innovative industries in the future.